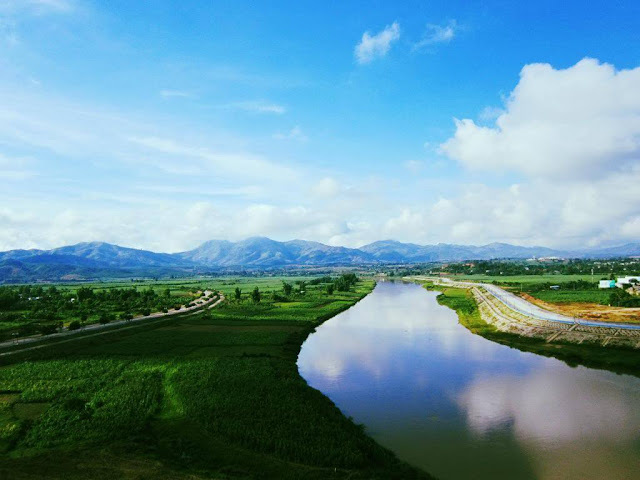 Just only 50km from Pleiku, Kon Tum is a worth place to visit thanks to its pristine and mysterious beauty. Kon Tum Cathedral, also known as Kon Tum Wooden Church has always been the pride of Tay Nguyen People. You can visit the church all year round but in the blooming flower season is the best time to visit when the scenery is covered by splendid colors of the red and white flowers. Also, you are surely impressed by the brown bell-tower of the church imposingly rising towards the blue sky. 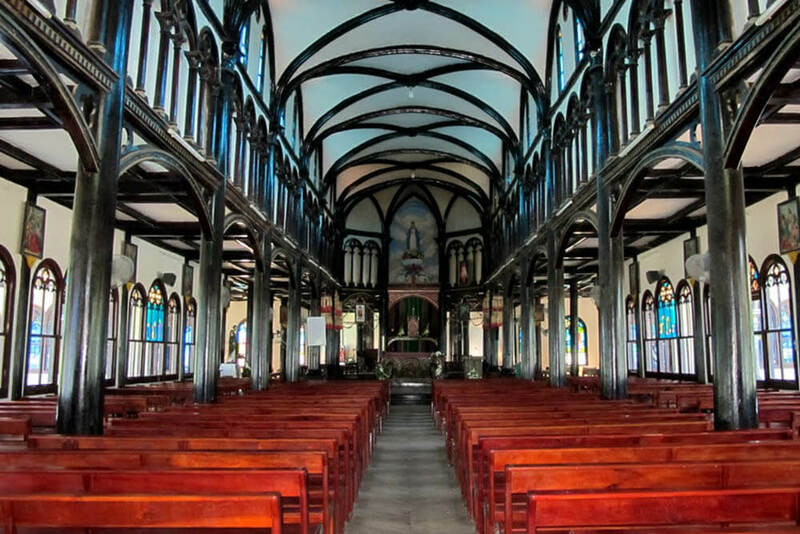 This 100 – year old Church is a special artistic architecture and considered as the most beautiful and antique relic, which was built in the architectural style of Roman and Ba Na. The material to construct the church is the best quality wood at that time such as rose-wood and ca chit; walls are made of soil mixed with straw and have no any concrete materials, etc. 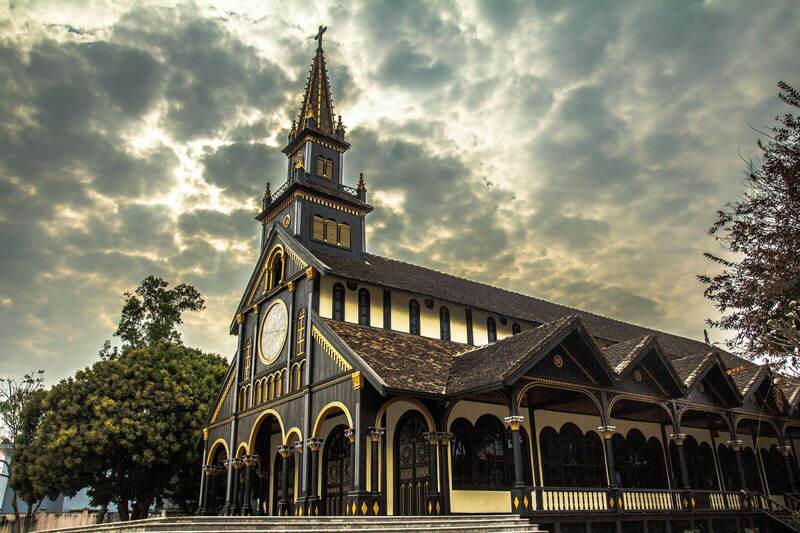 However, the cathedral is still standing today in its own beautiful appearance. Dak Bla River has an important role in the life of people in Kon Tum, as a symbolic river because if there isn’t Dak Bla River, there isn’t Kon Tom, in term of history and geography. 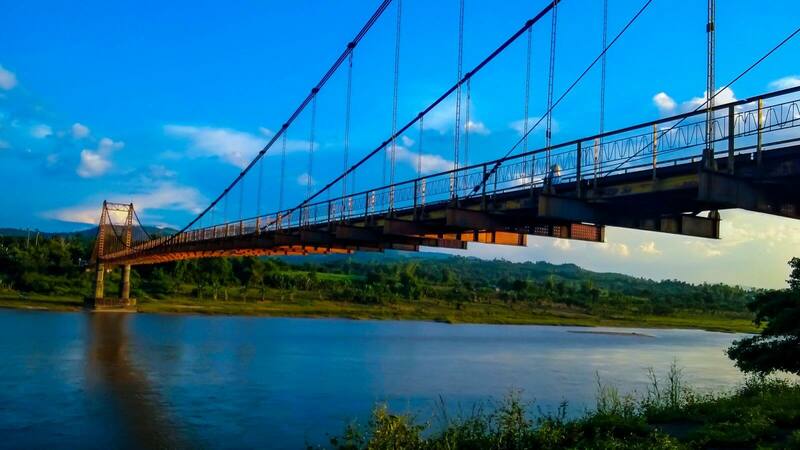 Coming to the hill street of Kon Tum, you will be impressed by the gently of the river, which resembles a long soft ribbon hugging the beautiful Kon Tum city. And you also feel the serene beauty of the river when seeing dugout floating on the vast water. Locate in Kon Klor village, Kon Tom city, Kon Klor Bridge is the largest and most beautiful suspension bridge in the Highlands with 292m long and 4.5m wide, connecting the two shores of Dakbla River. The background surrounding the bridge is so beautiful with majestic mountains covered with lush green shrubbery. The Kon Klor bridge connected people on the riversides close together, but since it has been put into operation, then there had no dugout trip crossing the river. Also, when coming here, you can pay a visit to the Bah Nar – Kon Klor village to have a drink with special wine together with them. 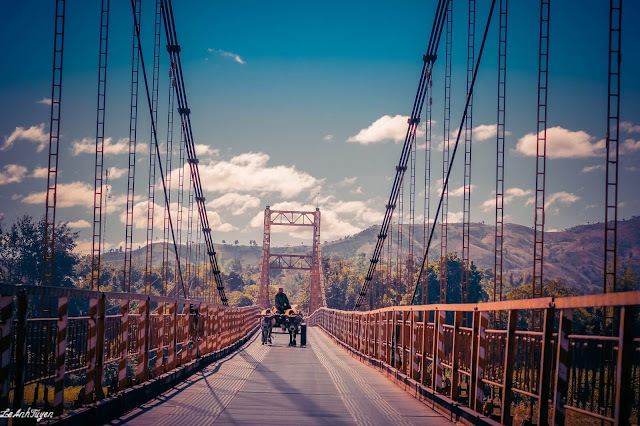 After that, continue the trip by passing over the bridge to get to another fertile land, which are the banana gardens, coffee plantations and fruit trees. About 6km to across over the roundabout road is the Kon K’tu village, which is the pride of residents here because it still retains ancient, majestic and pristine features. 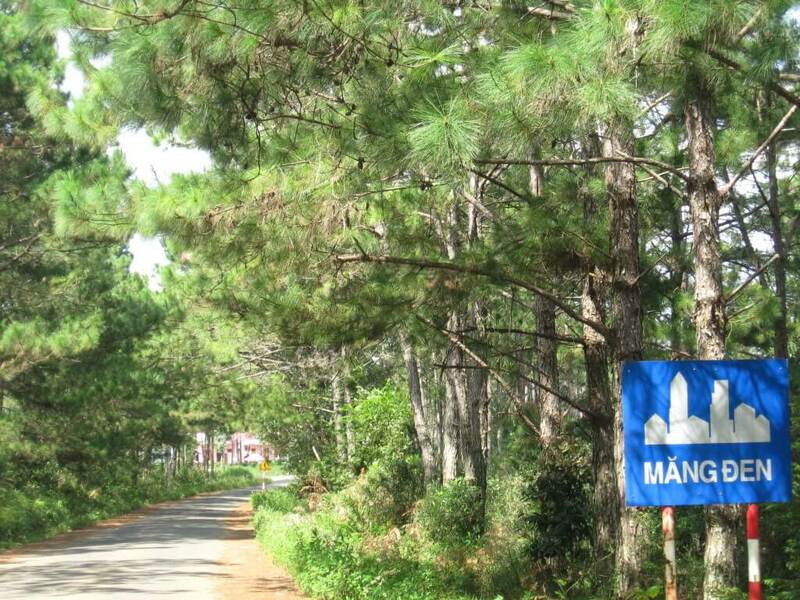 Located at the height of more than 1.000m above the sea level, Mang Den owns the cool weather all year round with the average temperature of 18-20 degrees celsius. 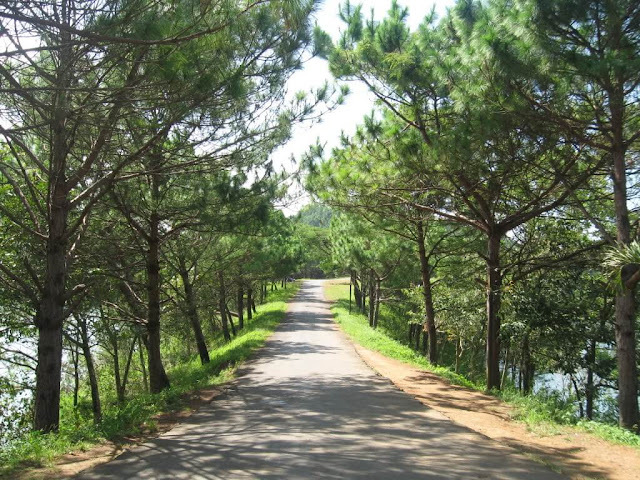 Therefore, it is considered as the "the second Da Lat tourist city" in the Central Highlands. Mang Den has the diversified and rich natural resource with more than 80% of the primeval forests and is the home of many rare animals and plants on the Red list in Vietnam and in the world such as rare red pine trees, pơ mu, trầm gió… along with other rare medicinal herbs including red ginseng, schisandra chinensis, etc. Also, a pine forest with the total area of 4.000ha is the best place for camping, and having a picnic. 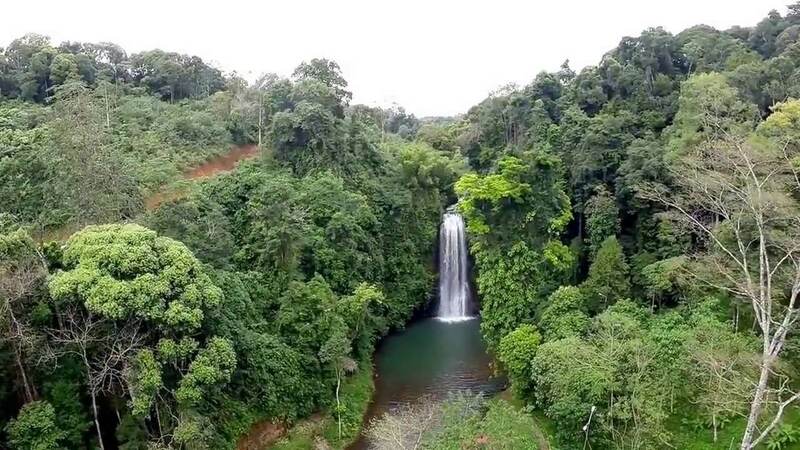 Pa Sy Waterfall is an ecotourism area belonging to Kon Tu Rang village of Ro Man people, Mang Canh commune, Kon Plong district, Kon Tum province, located about 6km northwest of Kon Plong district center. Amid the large system of lakes, waterfalls and primeval forests, Pa Sy Waterfall appears as a picturesque area with cool weather all year round. Pa Sy Waterfall is made up of three biggest streams in Mang Den, situated in the center of the ecotourism area at the altitude of 1.500 m above the sea level. 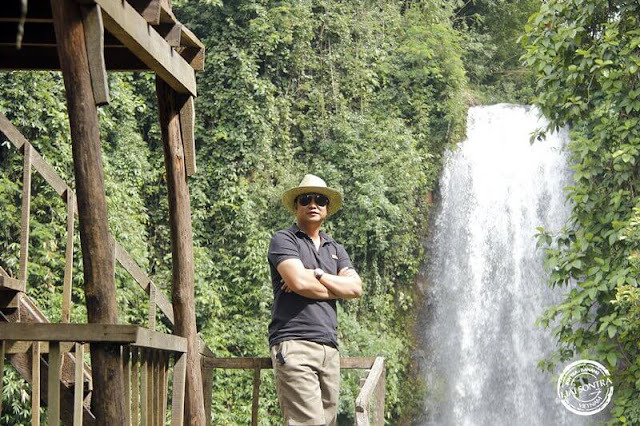 The waterfall was called as Pau Suh in the ethnic language of Ro Man, which means three streams bunched up into. After that, the locals called it as Pa Sy because of misspelling. 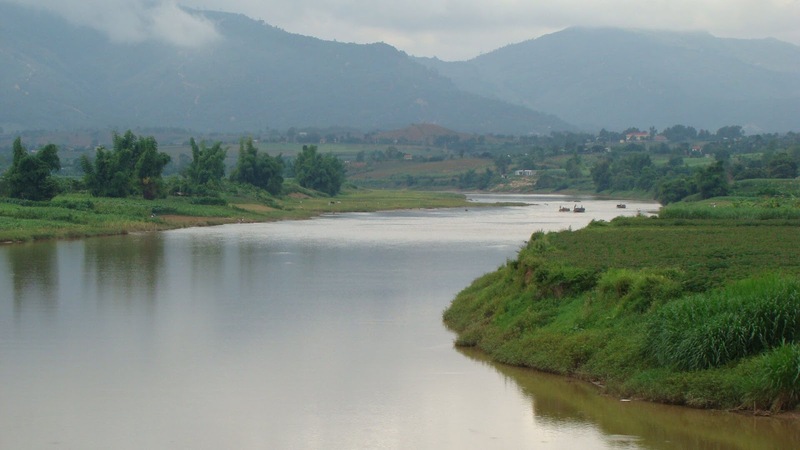 Traveling by motorbike is the most exciting vehicle for backpackers to the famous Vietnam’s Central Highlands; especially have a departure to the area of Indochina T-junction, a renowned site of Kon Tum. When you are in this area, you will have chance to see and touch to the Vietnam-Laos-Cambodia border landmark, which is 2m high with 900kg, located at the altitude of 1.086m. 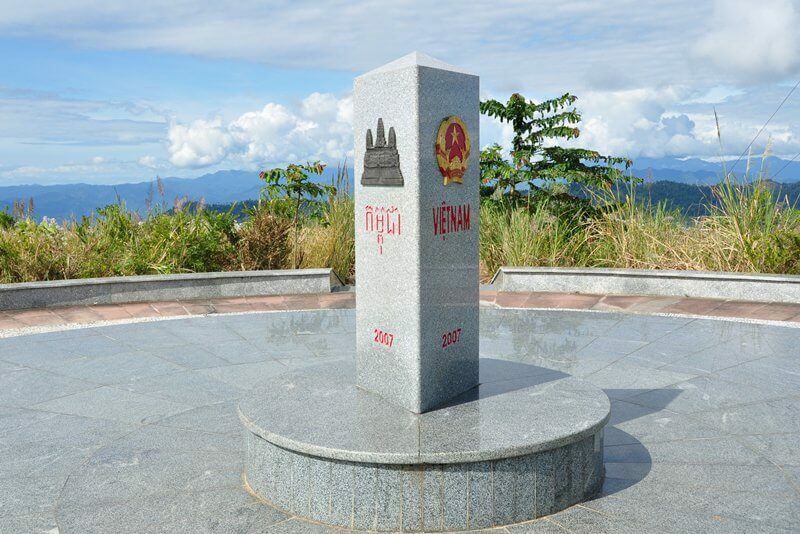 At the peak you will have a panoramic view of Indochina T-junction with lush, beautiful sceneries surrounding. The trip will certainly bring you the most challenging feelings as well as memorable experiences. Ngọc Linh is a high mountain of the Annamite Range in Vietnam with the height of 2.598m, straddles the two provinces of Quang Nam and Kon Tum. 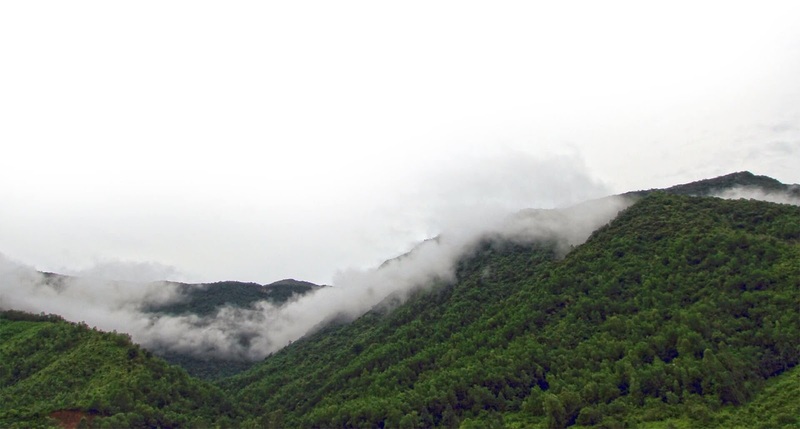 It is also regarded as the roof of Southern Vietnam. This mountain owns high biological species diversity, featuring with the weather and climate of tropical region. 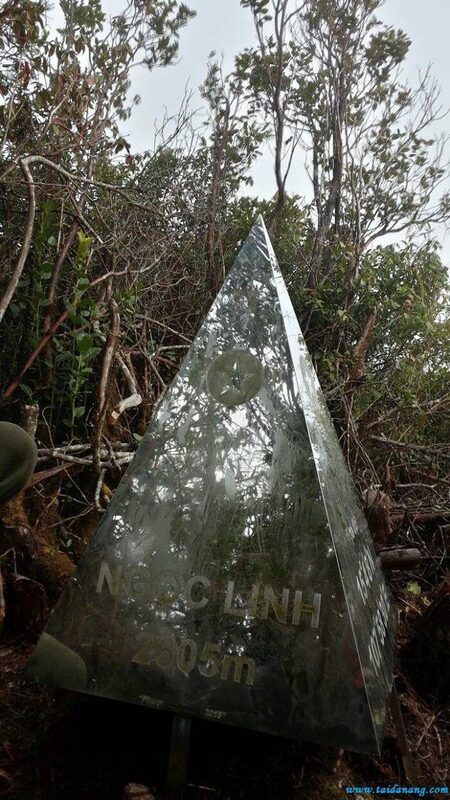 Especially Ngoc Linh Mountain has Panax vietnamensis (Vietnamese: Sâm Ngọc Linh), a famous species of ginseng in Kon Tum and Quang Nam of Vietnam. It is found at the altitude of 1.500m - 2.100m. 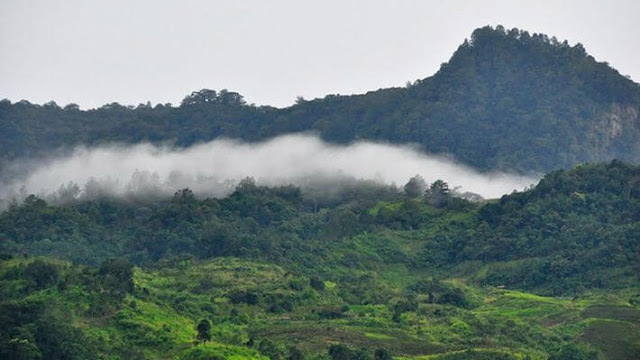 Chu Mom Ray National Park, formerly the nature preserve Chu Mom Ray, Kon Tum province is a national park in the system of special-use forests in Vietnam with the total area of 56.000ha. 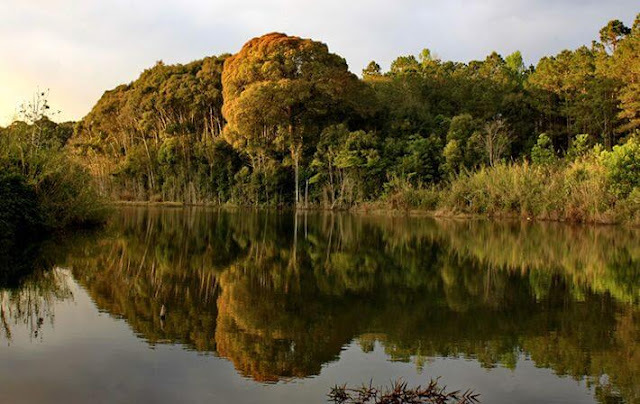 The park owns the highest biodiversity among the national parks of the country as well as is the only park in Vietnam located adjacent to the Virachey Cambodia’s National Parks and protected areas in Laos Southeast Ghong. Coming to Chu Mom Ray National Park, you will not only have a great chance to discover the rich nature resources, or visit attractive sites: Truong Son road, landmark H 67- the base of soldiers in Tay Nguyen, Sac Ly hill, Phuong Hoang airport, Bo Y international border gate crossing, etc, but also learn more about customs, and habits of ethnic minorities living here. Wonderful photos! It is very exciting tour package to enjoy the Chu Mom Ray National Park. 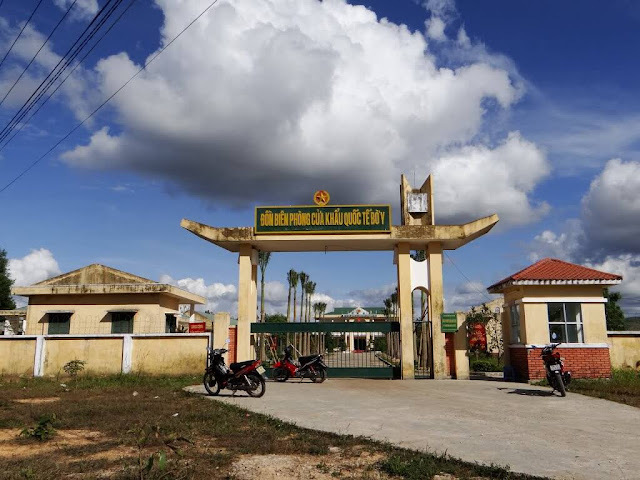 I really like this blog information provide the Indochina T-junction and Vietnam Laos Cambodia Tours. Paket Tour Singapore Temukan banyak Paket Tour Promo ke Luar Negeri : Bangkok | Singapore | Korea | Malaysia | Hong Kong 3 Negara Murah dan Lengkap Hanya di Holiday Tour. Get Cheap Air Tickets, Flight booking, Hotels, Packages & Bus bookings at - India's leading travel portal. Plan your trip get best travel deals online. Best deals for Flight Tickets, Hotels, Holiday Packages and Buses in India. Cheap air tickets online for Domestic & International airlines, customized holiday packages and special deals on Hotel Bookings.